As if the carnage in his hometown of Chicago wasn't enough, Rev. 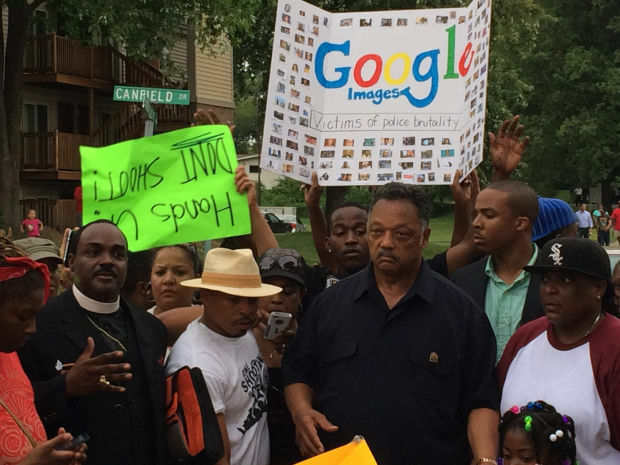 Jesse Jackson wasted no time getting to Ferguson. At the time of Rev. Jackson's statement, protests and civil disorder was already underway nationwide. 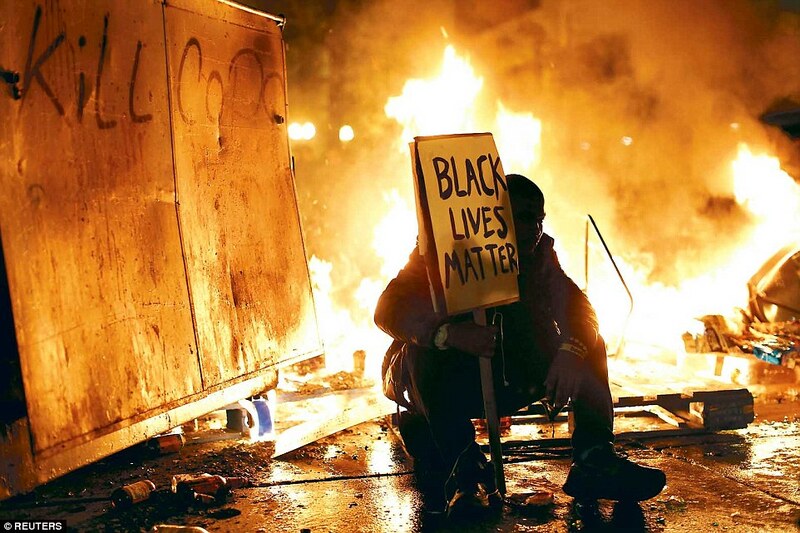 Arguably, Jackson's inflammatory rhetoric did nothing to quell the violence and unrest. The nation was on edge. #BlackLivesMatter "activists" arrived in Ferguson. Their orchestrated confrontations with the police were eagerly broadcast by media outlets like CNN and MSNBC. Tensions were at a flashpoint. 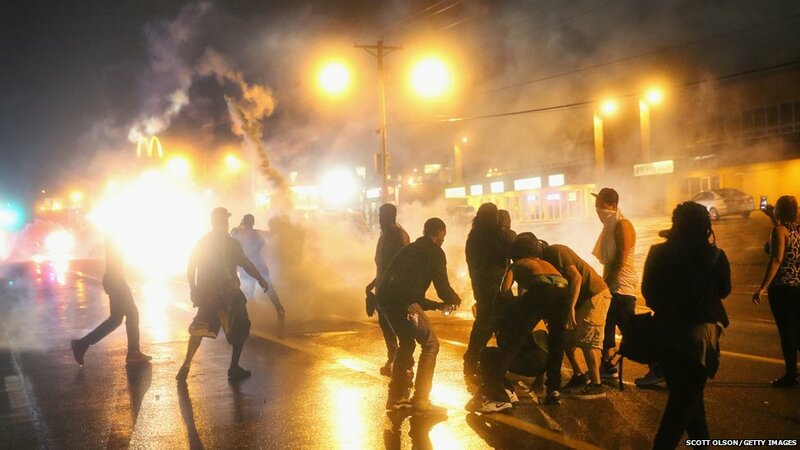 Rioting, looting, assaults, and shootings would continue for several days in Ferguson. 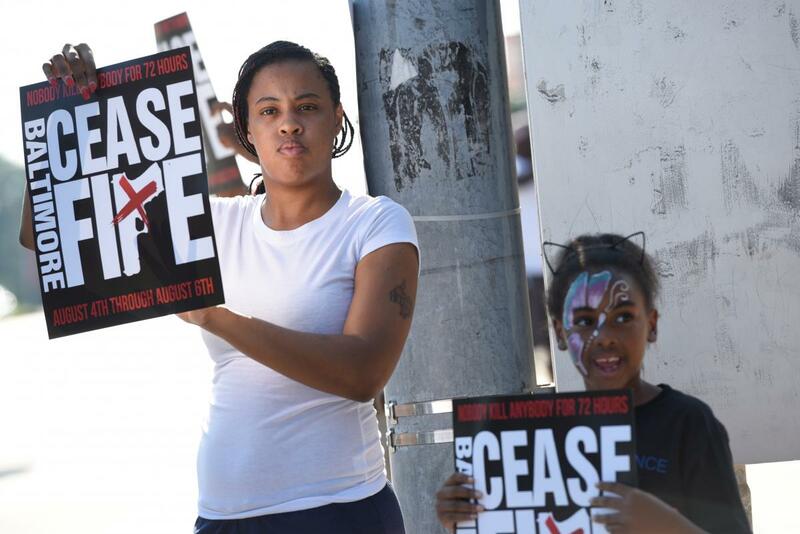 Local residents in Ferguson viewed Rev. Jackson's very presence as counterproductive. shouted one Ferguson resident who confronted Rev. Jackson in the drive-through of the McDonald's restaurant. "Little Caesar's Pizza and Hidden Treasures ...and McDonald's, Public Storage"
among others. A significant number of the businesses destroyed were African-American owned and operated.During the month of August 2014, Chicago, Illinois witnessed more than 250 shootings resulting in 54 deaths. The overwhelming number of the shooters were Black, the vast majority of shooting victims were also Black. "repent for being an evil citizen." The demonstrators overlooked a few people. That number is less than the number of people shot and killed IN BALTIMORE ALONE in just ONE YEAR. The vast majority of the shooting victims AND the shooters, respectively, were Black. 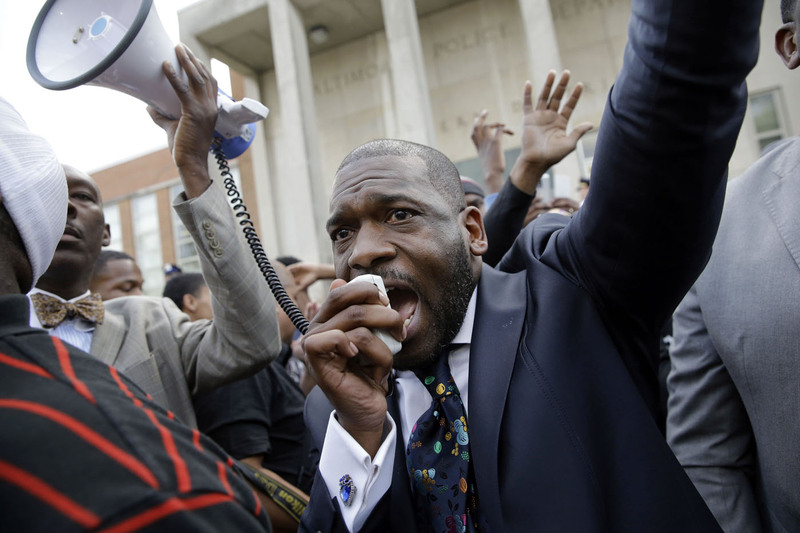 Typical of other “Progressive” politically-minded, racially-oriented, African-American preachers, Pastor Jamal Bryant ignored the raging fratricidal, #BlackonBlack, violence and murder IN HIS COMMUNITY. Instead, he moved with haste to politicize the Michael Brown tragedy. "..protesters drew a chalk outline around the body of a demonstrator..."
One has to wonder why Pastor Jamal Bryant chose to travel all the way to Ferguson to draw chalk outlines of a murder victim? He could have drawn HUNDREDS of them in Baltimore. Pastor Jamal Bryant and his followers drew chalk marks on the ground and played dead. Back in Baltimore, young were being found dead in seemingly endless waves of shootings of Blacks by Blacks. If justice was truly his objective, he should have stayed in Baltimore. 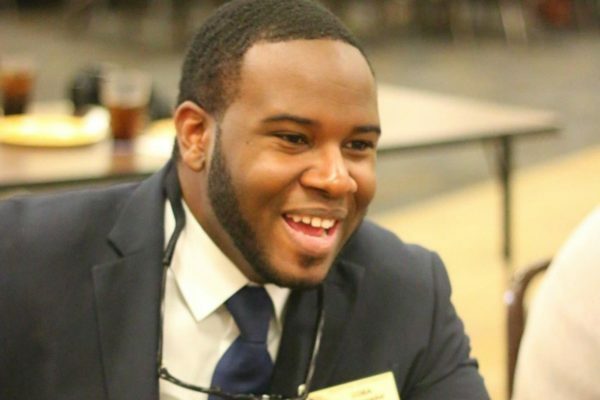 Recently, Botham Shem Jean, a native of the Caribbean island nation of St. Lucia was shot and killed in his own apartment. Dallas Police Officer Amber Guyger has been charged with Manslaughter in the case. Officer Guyger was off duty at the time of the incident. Dallas Police Chief Renee Hall immediately called in the Texas Rangers, a specialized division of the Texas Department of Public Safety, to investigate the incident. This is not at all unusual or out of the norm. In situations where there are potential, or even perceived, conflicts of interest the Texas Rangers are asked to conduct the investigation. The matter will be presented to a Grand Jury who will decide, based on the evidence, whether (or not) to charge Officer Guyger and what charge (if any) she should face. Botham Jean and Amber Guyger where residents of the same apartment building. Initial reports stated that Guyger arrived home after a 15-hour shift. She arrived at what she thought was her apartment door and noticed that the door was ajar. She observed what she believed was an intruder. She stated that the intruder did not comply with her orders and she opened fire. The problem, of course, is that she was at the wrong apartment door. The individual she believed was an intruder was, in fact, the lawful occupant of the apartment Botham Jean. Officer Guyger herself called 911 from the hallway of the apartment building. Pastor Carter's opening remarks lasted just over ninety (90) seconds during which he uttered the word "justice" no less than eight (8) times. In actuality, Pastor Carter uttered the word "justice" once every eleven (11) seconds. in her PRAYER. The investigation into the death of Botham Jean was barely a week old. Members of this group demanded that Officer Amber Guyger be fired immediately. There were demands that she be charged with the crime of murder. 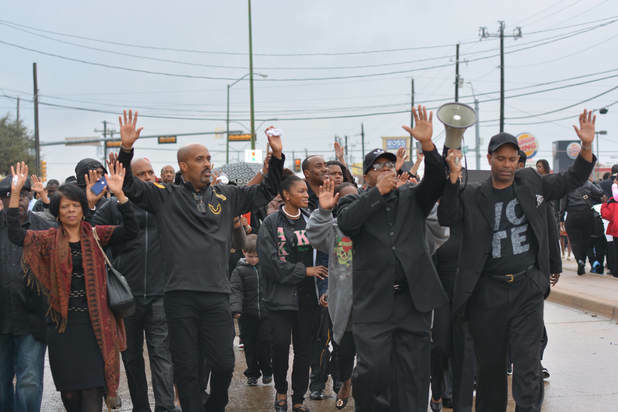 This group of pastors recklessly insinuated, with no evidence in support, that race may have played a role in the shooting death of Botham Jean. Others in the group viewed the shooting of Botham Jean as part of pattern in which police use lethal force against Black men. "26-year old man who's life was ABORTED." His use of the word "aborted" is fascinating. 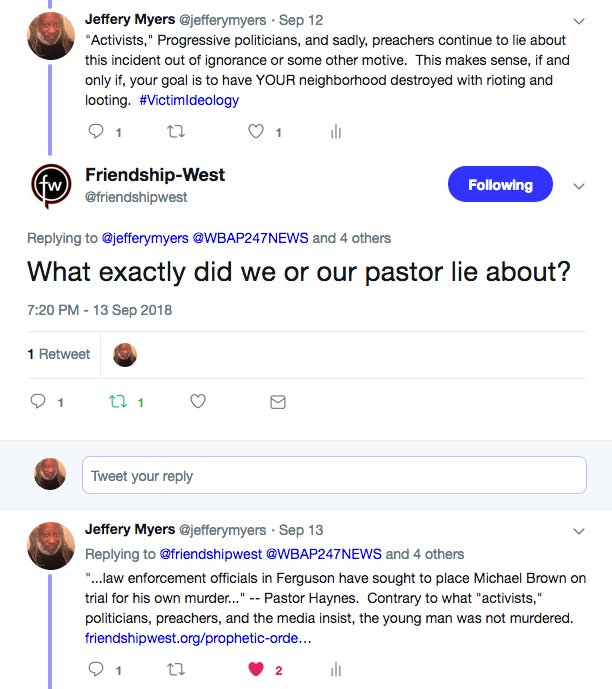 One of Planned Parenthood's abortion-homicide facilities is a mere ten (10) minute drive from Friendship-West Baptist Church where Haynes serves as senior pastor. Abortion-homicide has had genocidal impact on the African-American Community. Rarely at a loss for words, Pastor Haynes is curiously silent on the issue of abortion. in order to cast doubt on the integrity of the Botham Jean investigation literally before it began. Their race-baiting is dangerous and irresponsible. Before the facts are known about the tragic death of Botham Jean, they rush to insinuate that race may have been a motive. Their inflammatory rhetoric is foolish. Have the lessons of Ferguson been lost so soon? If riots were to ensue, it would not be the prosperous northern suburbs of Dallas County that would burn. It would be their own economically-distressed South Dallas neighborhoods that would suffer most. Definitive studies show that more White men are shot and killed during altercations with police than Blacks. In fact, more police officers are killed in the line of duty each year than the number of Blacks killed during altercations with police. Dallas-area African-American pastors wasted no time gathering to call for "justice" in the case of Botham Jean, a native and citizen of the island nation of St. Lucia. They were curiously AWOL in the case of thirteen(13) year-old Shavon Randle. Shavon Randle was abducted by drug dealers who sought to exchange her for a cache of drugs stolen from them by one of their own drug-gang members. The gutwrenching story of her kidnapping galvanized the world's attention. The reports of her death broke hearts the world over. Black preachers were happy to conduct the funeral services for this precious little girl. African-American pastors couldn't find the time to hold a press conference to issue repeated calls for justice in the brutal and senseless murder of Shavon Randle. 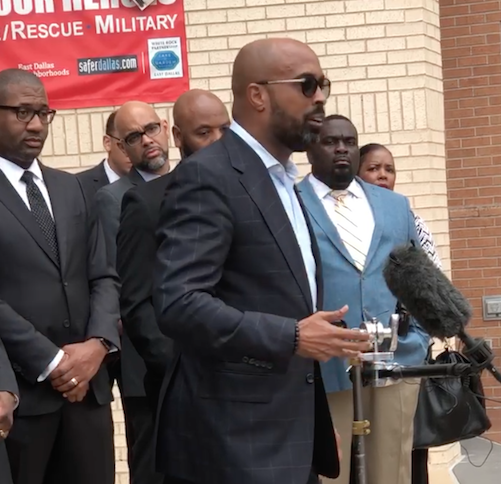 It's notable that this group of pastors didn't find the time to gather before the media and demand "justice" in the horrific shooting death of Gabriel Simmons. Ms. Simmons was shot and killed during a robbery of the Dollar General store where she worked to support her six (6) children. Simmons was nearing the end of her shift and was preparing to leave for home at the time of her death. She fully complied with the robber's instructions. She gave the cash drawer to the robber. He shot and killed her as he ran from the store. Politically-motivated Black pastors appear to be highly selective was to which cases they demand justice for. They trample underfoot the lives and memories of crime victims such as Shavon Randle, Gabriel Simmons , TyShawn Lee , Charmaine Wilson , Reggina Jefferies , Trayvon "Truz" Lee , and many many others in their rush to politicize and race-bait. They find the nearest microphone in order to draw attention to perceived cases of "police brutality." Meanwhile, victims of Black on Black violence and murder are largely overlooked or ignored all together. Black mothers are left to plead for justice on their own. 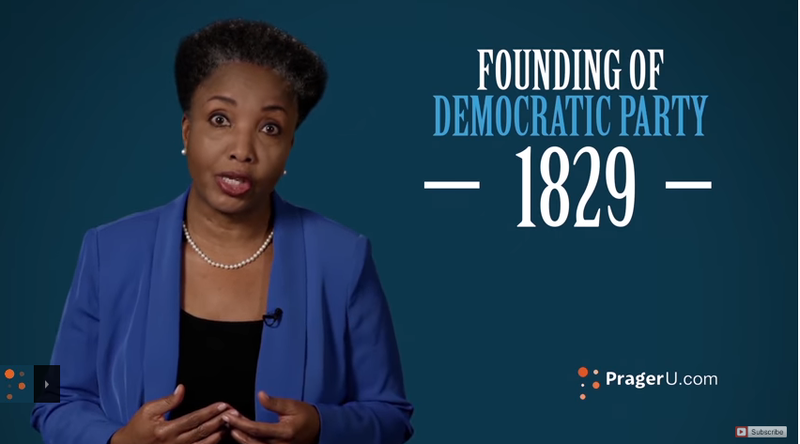 "Progressive" African-American pastors preach sermons laced with venomous and toxic rhetoric. They obediently echo and amplify the divisive, identity-based, narrative of the political Left. They want their followers to believe that the police, presumably even the officers who attend or protect their own churches, pose an existential threat to the Black Community. This simply is not true. More accurately, it is a lie. The "Progressive" neo-Marxist myth that Blacks are targeted by police has been thoroughly debunked by numerous authoritative studies. "Activists" lie. Politicians lie. Preachers lie. However, the numbers don't lie. Read: "Killer Cops": Debunking The Left's Fake Reality in the Police "Targeting" of African-Americans. Politically-motivated African-American preachers often allude to what they view is a pattern of police shootings of young Black men. They point to police-involved shooting cases including Alton Sterling (Baton Rouge, LA), Michael Brown (Ferguson, MO), and Philando Castile (St. Paul, MN). It is not beyond "activist" African-American clergy to reference the shooting death of Trayvon Martin as an example of "police brutality." African-American clergy, of all people, should know that this narrative is false. Why? Because they preside over the funeral services. As such, they are uniquely positioned, along with funeral directors, to know with great certainty that the young men they bury were NOT killed during altercations with law enforcement. They know, better than most, that the majority of the young Black men they eulogize are, far too often, killed by other young Black men. "What exactly did we or our pastor lie about?" A screenshot of the discussion is below. View the Tweet here. Dr. Haynes cites the video showing Michael Brown in the commission of a robbery to support this claim. The video of the robbery, indeed the robbery itself, was irrelevant as it relates to Michael Brown's death. The Justice Department report makes it clear that Michael Brown's attack on the officer resulted in his death. Dr. Haynes contends that the Ferguson Police itself is the greatest threat to the public. This claim is not only false. It is patently absurd. 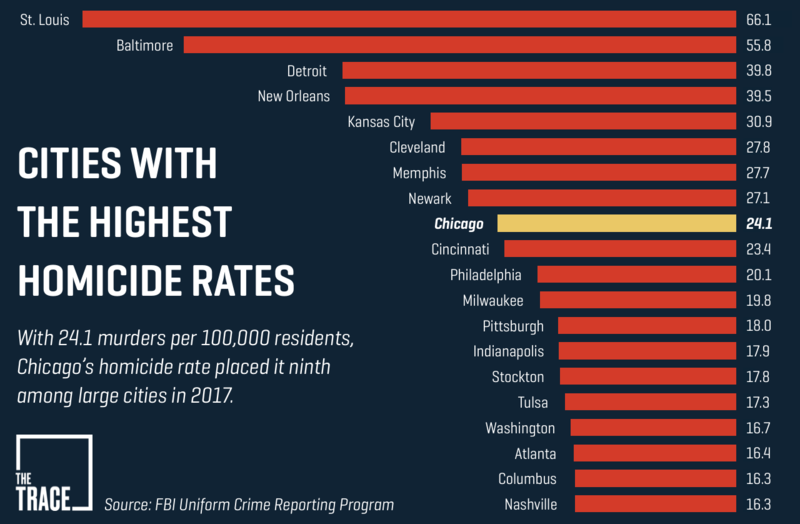 For several years, the St. Louis area has been at or near the top of the list of cities with the highest rates of Black on Black violence and murder. In the wake of the death of Michael Brown, the hash tag "#HandsUpDontShoot" was spawned from the narrative that the 18-year-old Ferguson teenager had his hands up at the time he was shot. Celebrities, actors, media figures, politicians, and preachers echoed the false narrative. Not surprisingly, Dr. Frederick Haynes III marched with his hands raised in the air. Simply put, #HandsUpDontShoot was a lie. The definitive report from The U.S. Department of Justice debunked the notion that Michael Brown's were up, presumably in surrender, at the moment he was shot. Three separate autopsy reports --- one by the State of Missouri, one by the Federal government, and one by the family of Michael Brown --- showed, indisputably, that Brown was running towards the Ferguson officer. The greatest threat to African-Americans in the Ferguson area isn't, nor ever has been, the police. The greatest threat to African-Americans continues to other African-Americans. Politicians lie. Members of the media lie. Sadly, members of the clergy also lie. However, the numbers don't lie. The simple fact of the matter is this: The greatest danger to African-American life is 1) Abortion-Homicide and 2) Black-on-Black violence and murder.